Founded in 2007 by a management team of clinical scientists, physicians and commercial specialists, Seahorse Scientific Services is a privately owned and academically centred Clinical Consulting, Core Laboratory Analytics and Regulatory Strategy company. 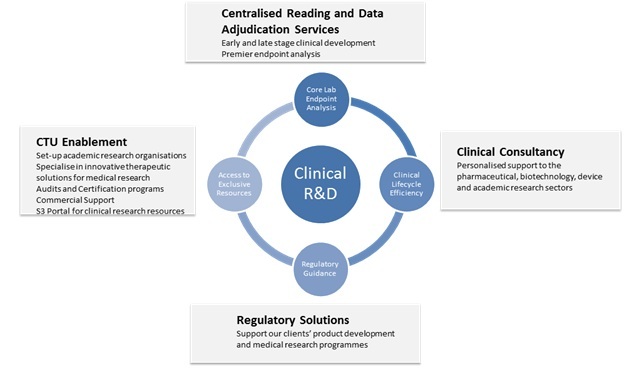 We specialise in the provision of therapeutic solutions for medical research and centralised reading and data adjudication services for early and late stage clinical development. Our areas of expertise include independent review boards, regulatory support, clinical trial unit setup services, site selection, investigator site support, patient data management strategies, telemetry patient monitoring and analytics, and medical data analysis. Our expert consultative approach enables the academic research sector and pharmaceutical, biotechnology and device companies to accelerate their investigation of new and existing products whilst improving accuracy and reducing cost.